Nationwide search yields worldly, collaborative leader and passionate Minnesota advocate. Mark Ritchie has been named Global Minnesota’s next president. He will assume his new post in January 2019. Ritchie will succeed Carol Engebretson Byrne, who announced her plans to step down in July, after 21 years of service. Under Byrne’s leadership, Global Minnesota created compelling programs statewide on important global topics, advancing international understanding for thousands of Minnesotans while tripling the organization’s revenues. Today, we are one of the top World Affairs Councils in the nation. The Global Minnesota board of directors selected Ritchie after conducting an in-depth, nationwide executive search. 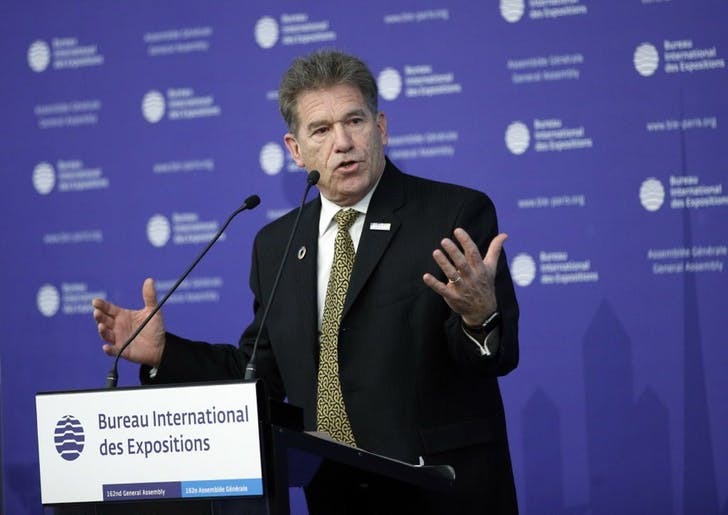 In his role as the leader of Minnesota USA Expo, Ritchie led the public-private partnership to host the 2023 World Fair Expo in Minnesota and is currently pursuing the 2027 bid.